Medium Chain Triglycerides (MCT’s) are fats that are naturally found in coconut and palm kernel oil. MCT’s are more easily and rapidly digested than other types of fats, as they require lower amounts of enzymes and bile acids for intestinal absorption. MCT’s are metabolized very quickly in the liver and are reported to encourage an increase in energy expenditure, while decreasing fat storage. Numerous studies suggest that substituting MCT Oil for other fats in a healthy diet may therefore help to support healthy weight and body composition. 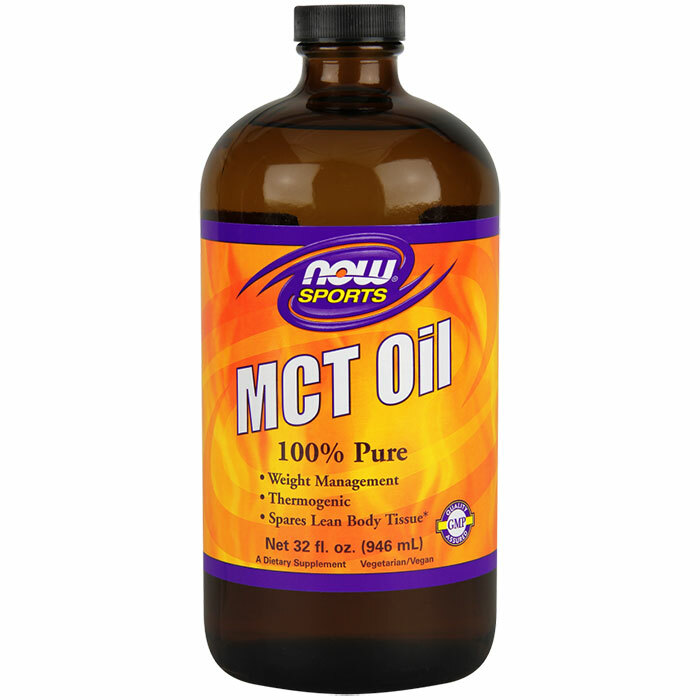 NOW® MCT Oil is Pharmaceutical Grade (USP).